What is BioWaves Sound Therapy? Although it seems strange when you first hear of “sound therapy” like it is something strange and destined for the medical research labs, the truth is that the effects are apparent in our every day life… For example, we experience the energizing effect of sound and music every time we hear music with a heavy beat. Just think of the last time you heard a favorite dance hit and couldn’t help but to start dancing along. For example, the Bulgarian Psychiatrist, Gorgi Lazanoff was able to show an increased capacity for learning, superlearning if you will, by playing Baroque music (1700’s Bach, Vivaldi, Telemon, Handle) and having his students breathe in rhythm with the beat. It all goes to show that sound and music can have a profound effect on our health, and well being, not only physically, but also mentally and emotionally as well. 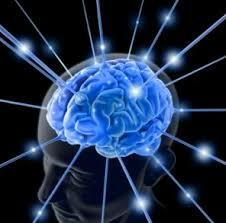 In the growing field of “energy medicine” it is well known that our universe is created through patterns of frequency. Science is now documenting what mystics of many traditions have known forever. Everything that exists in the physical, mental, emotional and spiritual realms does so on a vibratory basis. This is obvious if you consider that electrons are always moving and vibrating.